Android OS comes with a default mail app called Gmail installed on their system. Though the Gmail app is as competent as other third party email clients, but if you are one of those users who do not use Gmail for sending and receiving emails, then obviously you have to consider other third party email clients. If you are someone who wants variety when it comes to apps - like me, you'll also have to consider other clients from the play store. Either way you may be drawn to the delima of having to choose from the ton of apps flowing in at the play store. We have selected some of the best email client apps that are equally good as Gmail which offer some appealing features like automatic sorting, a nice conversation view, and advanced text formatting options, among others. Automatic sorting in particular is becoming an essential feature as many people receive a large number of emails. If an app can send these mails directly to relevant folders, then it saves people a lot of time. 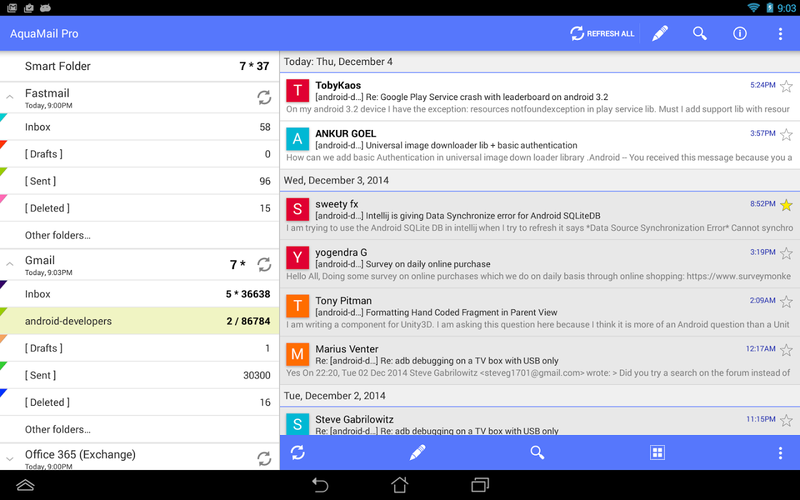 We looked at a lot of free email apps on Android and picked these as the best of them. 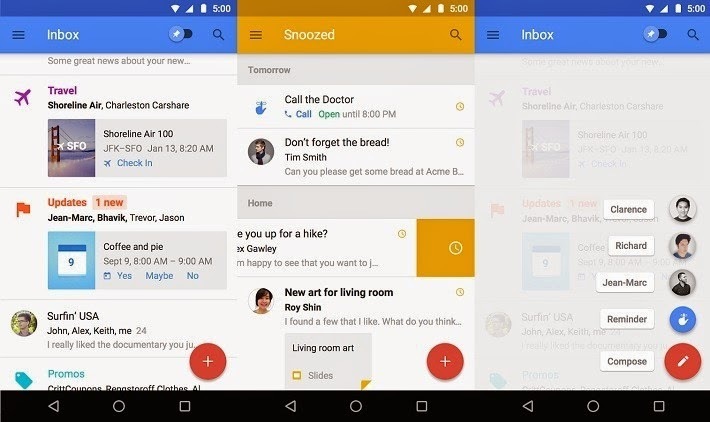 The Inbox by Gmail works almost the same way as the Gmail client. Inbox is an organized place to get things done quickly and get back to what matters. Inbox by Gmail is a free full-featured Email client which allows you to send and receive attachment up to 20MB, it easily organizes similar emails and highlights important information from your mails in neat cards. It also offers up to 30MB of capacity for your emails, photos & documents. Mailbox email client is available on both iOS and Android platform. 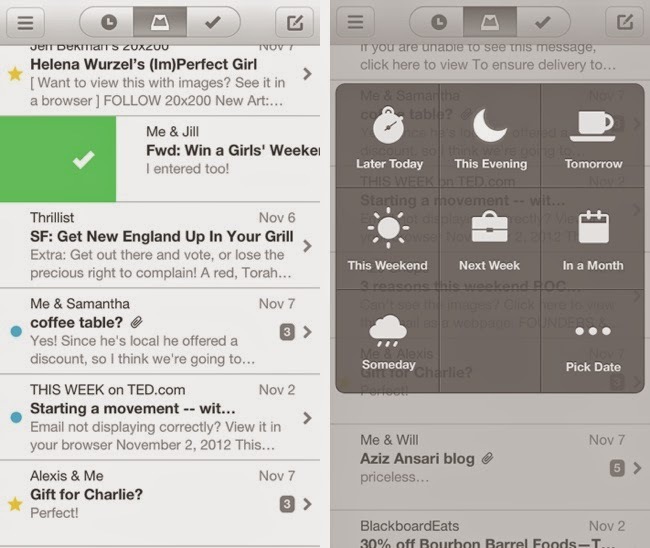 Mailbox makes email light, fast, and mobile-friendly. It allows you to swipe quickly messages to your archive or to the trash folder. Mailbox checks your email from the cloud and delivers it to your phone securely. Note that Mailbox is currently designed for Gmail and iCloud accounts. Other email services aren't supported yet. 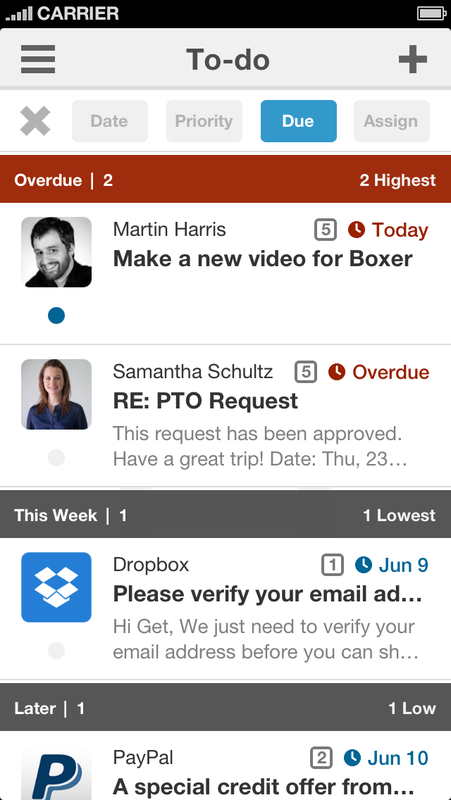 If you rely on quick responses and need an integrated to-do list, then Boxer is a good app for you. It lets you "like" emails, which is like a quick response to emails and even allows you to add emails to a built-in to-do list. This will help people get things done quickly. Boxer supports just one account for free, but if you text 10 contacts about the app, you can get the pro version (Rs. 620) for free. 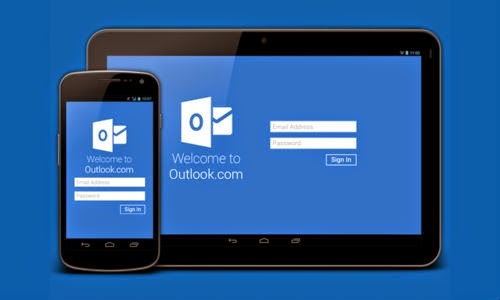 Microsoft outlook is a free email service built to keep you connected accross your devices with powerful organizational tools and services. Outlook on your Android device makes you stay connected and productive. It offers a clear unified view of your email, allows you to create a calendar entry and send event invitations easily through the app. Aqua Mail isn't as pretty as some other email apps, but its advanced formatting options and easy to use interface make it worth checking out. It lets you change the font, text colour and size apart from basic formatting options such as bold and italics. It has some of Mailbox's swipe gestures and supports all popular email services. The above email clients represents our choice. If your favorite email client app isn't on our list, let's hear from you by listing them in the comment box below.